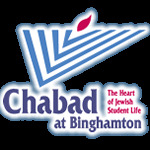 The Chabad Center for Jewish Student Life at Binghamton University is where Jews of all backgrounds can find community, resources, a smorgasbord of Jewish events and rich opportunities for celebration and study. Chabad is pulsating with activity, excitement, joy and Jewish pride. Looking to make a difference while making a few dollars on the side? Click here for information on various internship opportunities at Chabad.